Everyone wants a floor that looks great, but sometimes there are other factors which prove to be more important. If you live in a house which is populated with small children, pets and plenty of visitors, your floor can take a beating. If you are looking for a durable type of flooring which does not require extensive cleaning or maintenance, you should consider one of the types listed below. Laminate flooring is an affordable and durable material which is suitable for any areas which are subject to heavy foot traffic. In the past, laminate flooring was only available in a very limited number of colour and styles. However, in recent years, the range of laminate flooring styles and colours has increased. This type of flooring is now available in wood and stone look patterns, which allow you to achieve a fantastic look for a fraction of the price. Laminate flooring can be installed quickly over the existing surface making an ideal product if you are short on time. By its very nature, natural stone is very durable. Natural stone can withstand many years of wear and tear, intense heat and exposure to dirt and debris with becoming worn or damaged. Traditionally, natural stone is a very popular flooring choice for areas such as bathrooms, kitchens and utility spaces. However, it is increasingly being used in other areas of the home such as the bedroom and living room. Natural stone looks great and adds a rustic charm to any room. Each piece of stone contains unique patterns which give your home an individual look. Below is a guide to 3 durable types of natural stone flooring. 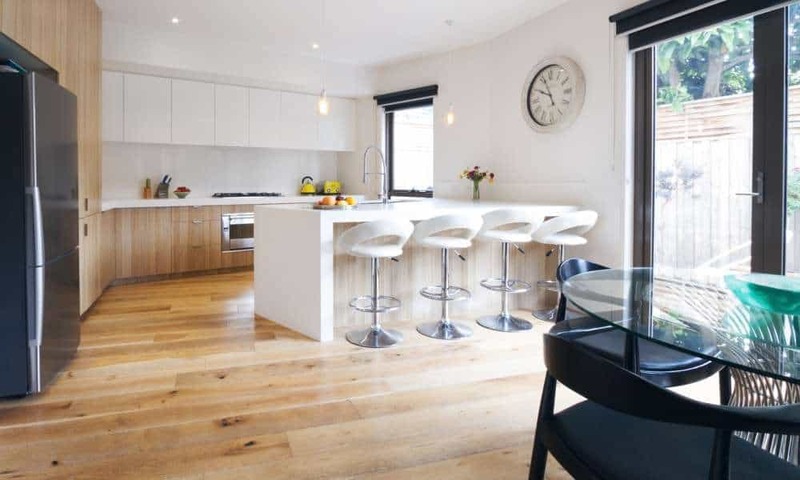 Limestone: Limestone’s pale colour makes it a good choice for both contemporary and classic interiors. Often cut into large pieces, Limestone can help to create a timeless flagstone effect. Slate: Slate is extremely durable and is an ideal choice if you have children or if you want to floor an area which receives a high volume of foot traffic. The one drawback of slate is that it is only available in a very limited number of colours. Travertine: Travertine is one of the most popular natural stones used to floor rooms. This type of stone features a range of naturally occurring troughs and pits which create a wonder weathered effect, while the earthy tones can help to create a rustic feel within a room. Travertine is available in 4 different finishes, polished, brushed, tumbled and honed. Each finish creates a slightly different look to the finished floor. Linoleum is one of the most durable and low-cost flooring solutions. It doesn’t require much maintenance, is very long lasting and is easy to clean. This makes it suitable for kitchens, bathrooms, utility rooms and commercial spaces. Modern vinyl linoleum does not need to be waxed and maintained in the same way traditional linoleum needs to be. All you need to do to keep your linoleum floor in good order is to sweep and mop it with warm water occasionally. While older linoleum had a plastic appearance, modern linoleum is available in a wide range of colours and textures. Commercial carpeting is made using short tight loops of fabric which makes the pile very dense, highly durable and resistant to wear. Although it is typically used in office and corporate environments, commercial carpeting is increasing being used to carpet areas of the home which are subject to a lot of wear and tear and are not often used by visitors, such as exercise rooms, storage sheds and utility spaces. Hardwood flooring is one of the most durable types of flooring on the market. Although it requires occasional care to keep it in top shape, it will outlast the majority of other flooring options. Hardwood flooring can have a larger upfront cost, but the increased durability and the long lifespan could save you money when compared to the cost of frequently replacing or repairing less durable types of flooring solution. The Grade of the Wood: Not all hardwood flooring is equally hard as some types of wood are softer than others. The grade of wood can impact on the durability of the surface. If you want a very hard floor, you should opt for a very hard wood such as Brazilian Redwood rather than Pine. For more information on the different grades of wood, contact a flooring specialist. The Finish: Regardless of the grade of wood you choose, you should also be aware that the finish can have a significant impact on the durability of the hardwood. The finishing coat is designed to take the brunt of any wear and tear. It is important that any hardwood flooring is properly finished and sealed. If after a few years, the finish begins to look shabby, you can sand down the flooring and reapply the finish. Maintenance and Care: Like any flooring, hardwood will require some basic maintenance and care. You should avoid wearing work boots, or high heels on hardwood flooring as this type of footwear can cause damage. You should regularly sweep your hardwood floor to remove debris which otherwise may become embedded in the surface of the wood. Carpet tiles, also know as modular flooring, are a popular choice in offices, airports and hotels. Carpet tiles are produced using dense loops of nylon material which makes this type of flooring highly durable. If a carpet tile becomes damaged, it is extremely easy to lift and replace the damaged tile without having to replace the entire carpet. 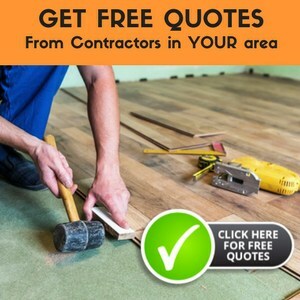 Each type of flooring listed above offers its own advantages, by taking the time to select the most durable flooring for you home, you can enjoy the benefits for years to come.